University of Nebraska Press, 9780803254770, 354pp. 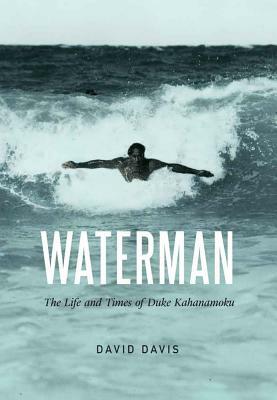 Waterman is the first comprehensive biography of Duke Kahanamoku (1890–1968): swimmer, surfer, Olympic gold medalist, Hawaiian icon, waterman. Long before Michael Phelps and Mark Spitz made their splashes in the pool, Kahanamoku emerged from the backwaters of Waikiki to become America’s first superstar Olympic swimmer. The original “human fish” set dozens of world records and topped the world rankings for more than a decade; his rivalry with Johnny Weissmuller transformed competitive swimming from an insignificant sideshow into a headliner event. Kahanamoku used his Olympic renown to introduce the sport of “surf-riding,” an activity unknown beyond the Hawaiian Islands, to the world. Standing proudly on his traditional wooden longboard, he spread surfing from Australia to the Hollywood crowd in California to New Jersey. No American athlete has influenced two sports as profoundly as Kahanamoku did, and yet he remains an enigmatic and underappreciated figure: a dark-skinned Pacific Islander who encountered and overcame racism and ignorance long before the likes of Joe Louis, Jesse Owens, and Jackie Robinson. In Waterman, award-winning journalist David Davis examines the remarkable life of Duke Kahanamoku, in and out of the water. David Davis is the author of Showdown at Shepherd’s Bush: The 1908 Olympic Marathon and the Three Runners Who Launched a Sporting Craze; Play by Play: Los Angeles Sports Photography, 1889–1989; and Marathon Crasher: The Life and Times of Merry Lepper, the First American Woman to Run a Marathon. His work has appeared in Sports Illustrated, Smithsonian, the New York Times, the Los Angeles Times, and in three anthologies, including The Best American Sports Writing. He lives in Los Angeles.